This picture has been rated : 107 times. 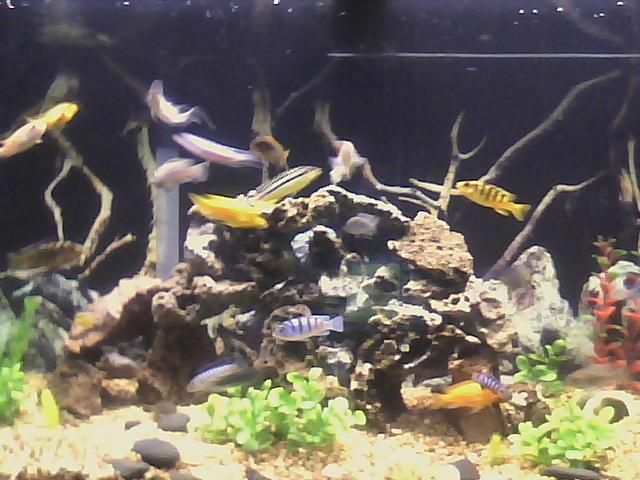 Description: Currently housing 22 juvenile african cichlids from .75" to 1.5". Using a dual 48" flour. fixture (HomeDepot special) with a PowerGlo and MarineGlo. 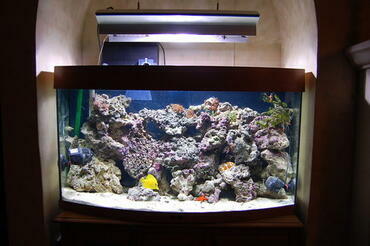 I have a Marineland Emperor 400 and an EHIEM 2226 canister. 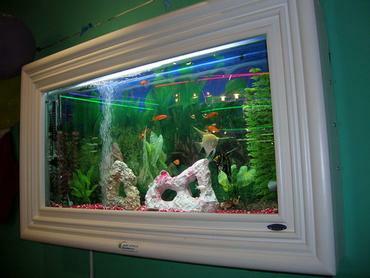 The tank is kept at 76.5*F using a 350W EHEIM heater. The substrate is crushed coral to help keep the pH steady (so far so good) and adds contrast to the dark lava rock. Added a Koralia 750 to give some flow down the centre of the tank (hidden in the lava rock), fish LOVE it! 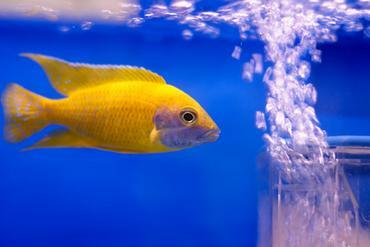 Advice: Don't spend tons at your LFS on things like lighting, check out places like HomeDepot or Lowes, you may be surprised at how much you can save! !